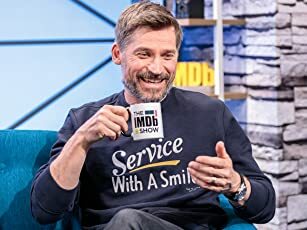 Narrator: The duellist demands satisfaction. Honour, for him, is an appetite. This story is about an eccentric kind of hunger. It is a true story and begins in the year that Napoleon Bonaparte became ruler of France. Q: Is this from a book? Q: How does the movie differ from the book? Q: Why does D'Hubert save Feraud from execution? After making a string of acclaimed adverts, Ridley Scott followed fellow ad man Alan Parker onto the big screen with his debut movie. 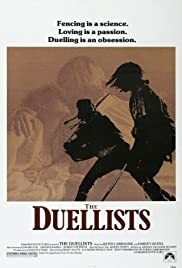 The Duellists was based on a tale by Joseph Conrad (who inspired Apocalypse Now and the ship names for his 1979 feature, Alien - Nostromo and Narcissus). As you my expect from Ridley, every scene looks gorgeous and is obviously the mark of a man moving from 30 second promotional films into the big screen world. Harvey Keitel (later to star in Thelma and Louise) and Keith Carradine are the Hollywood stars acting alongside a wealth of British thesps including Albert Finney, Diana Quick, Tom Conti, Pete Postlethwaite and Veronica Quilligan (later to play the innocent protagonist of Neil Jordan's Angel). The movie is clearly inspired by Stanley Kubrick's Paths of Glory and Barry Lyndon and looks like a dry run for Gladiator's battle scenes. It deals with the themes of honor, obsession and violence. Needless to say, the futility of war and the destructive nature of revenge leads to the twist that both men have been duelling for so long, in the end they actually forget what it was that set them off on their feud. The duels are stunning, the attention to detail is meticulous and the movie won a string of awards, including 'Best Debut Film' at the 1977 Cannes film festival. * The budget was so tight that Scott was forced to use producer David Puttnam and other crew members as extras. This was an extension of his earlier short films, a potted version of Paths of Glory in which a handful of extras (including Tony Scott) go over the wire and run round the camera before repeating the exercise. Smoke and editing hide the fact that there were so few people involved. 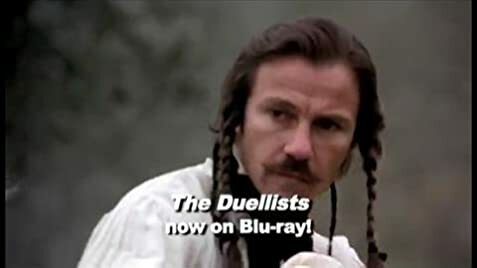 *The Duel, as it was originally called, was to be made for French TV as a one-hour film. *The scene where the French army is bogged down was shot in a ski resort near Inverness. *After the French deal collapsed and the $700,000 budget proved too rich for Hallmark's blood, one of the bosses saw its potential as a film and suggested that Scott try and make it as a movie. *The eventual budget was a mere $900,000. Scott clinched the dealing by telling Paramount he would put up a completion bond and that he would start pre-production on the day of the meeting. He would start shooting within a couple of months. The thought of filming a movie like that in September left the suits slack of jaw. In the sun-kissed world of la la land, making a Joseph Conrad movie in Winter sounded like a nightmare. *Scott had originally wanted to make a Western but lacked the cash to fly off to Monument Valley and the locations of other such classic John Ford Westerns.